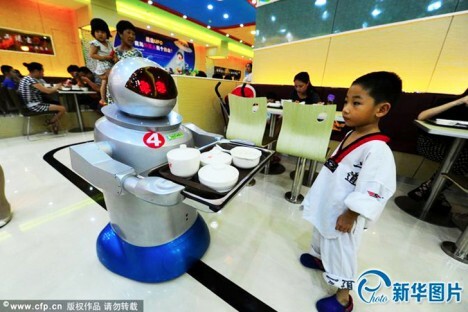 From your robotic greeter at the front door to your automated waiter, your visit to this restaurant in Kunshan City will feature all the cybernetic staff you hoped to have serve you in the future. 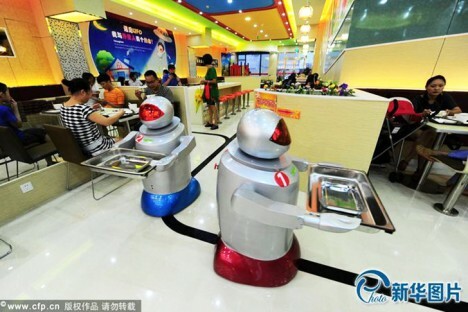 Fifteen robots in total roll around the eatery, cooking food, taking orders, serving meals and greeting customers as they enter. 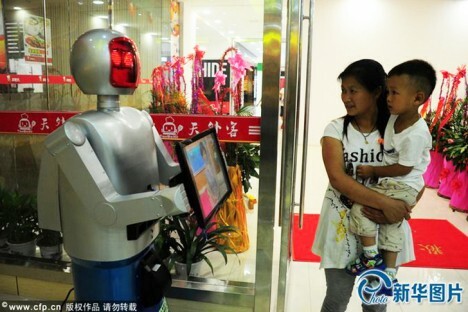 A few humans are on hand just in case, but basically the robots run the place. 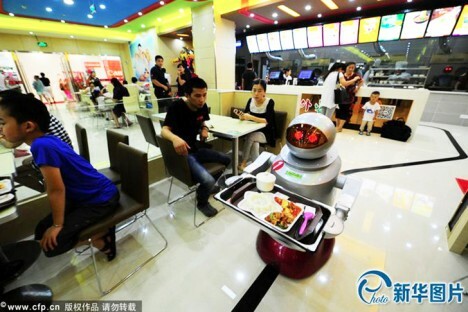 The spacious 3,200-square-foot facility is navigated by bots following black-taped lines using optical sensors, making their way between patrons to pick up dishes and drop off eats. 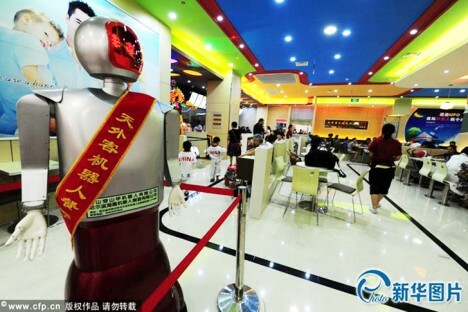 A touch-screen ordering system lets patrons pick their food. 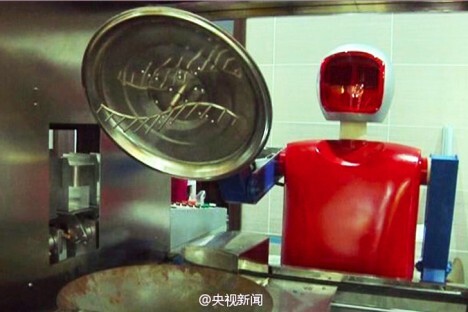 When the robo-waiter drops it off, customers are told to tap the bot to send it on its way. 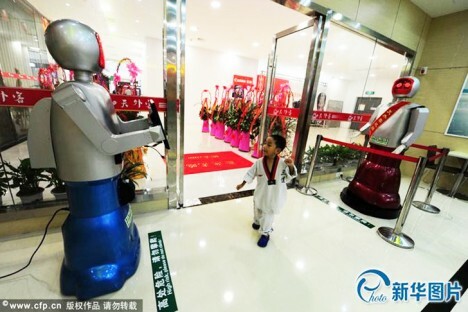 See more in Robotics or under Technology. October, 2016.